If you are preparing for a long distance move, you might wonder what exactly goes into getting an accurate estimate of your average moving costs. After all, isn’t moving just the use of the truck, plus the movers’ time loading and unloading? In reality, there are many factors that go into creating an accurate moving quotes and estimate, and it is important for you to understand these elements to ensure that your move is as cost effective as possible, especially if you are on a tight budget. All moves are not created equal, and understanding some of the elements (moving cost calculator) that make moves more or less expensive can translate into big savings if cost is a factor. A long distance move requires different licensing, insurance, and regulatory requirements than in-town moves. Therefore, the overhead for a long-distance mover is more extensive. Also, of course, there is the extra fuel and mileage for the vehicle, plus extra time for the movers themselves. For long distance moves or national moving requiring multiple days, there are also the meal and lodging expenses for the moving crew. All of these factors need to be taken into account when looking at a cost estimate. Where you are moving to or from can affect your bottom line as well. Fuel, parking, tolls and other expenses can drive up the price of the transport of your items. And a hard-to-maneuver neighborhood, street, or driveway can add time to your move on arrival and departure. And in moving, as in most things, time is money. Besides, if your move includes a period during which your items will be in storage, as in the case of multiple closings in various markets, there will be storage fees as well. Movers offer a range of packing services, and the cost of the move is affected by the extensiveness of the service you choose. For example, some people buy their materials, pack everything themselves, and then load all of the boxes in a garage or front room of the house to facilitate a fast loading process. However, you may choose packing services wherein the mover provides packing materials and sends professional movers to pack the house’s items. You may then choose unpacking services as well, where the mover unpacks items in the correct room at their destination and hauls away all of the packing materials when they leave. This is, of course, the most convenient solution, but also the priciest. When calculating your moving cost and quotes, the moving company should conduct an in-person estimate to accurately gauge not only the time it will take to load and unload the truck but the size of the truck itself. While some moving cost calculators may ask how many rooms are in your house to give you a general estimate of cost, an on-site estimate will ensure nothing is left unaccounted for. Also, costs can go up with certain items, like expensive antique furniture or a piano. Also, online estimates don’t always take into account items that can require more space, like outdoor furniture, lawn and garden equipment, and ride-on toys and vehicles. When you schedule your move can have a significant impact on your average moving costs estimate and quotes from moving companies. For example, moving in the summer, just on the heels of what is usually a hot spring real estate market, can mean that your costs will be higher. If you have the option, a fall or winter move can be more cost effective. In addition, moving on a Friday, Saturday, or Sunday is usually more expensive than moving on a Monday through Thursday. A little inconvenience on your part might end up saving you quite a bit of cash when demand is lower. If you are looking for a great mover who will help you work within your moving budget, let us help! At 9Kilo Moving, we have all of the professional moving connections to ensure your next move, whether it is to the next state or across the country, is handled with the safety and convenience you want at a price you can afford. With our fast, free, no-obligation online quote through our moving cost calculator, you will be able to shop with confidence and find the mover who is right for you. Contact us today at 9kilo.com or call 800-678-6867 and put our easy to use service to work for you. 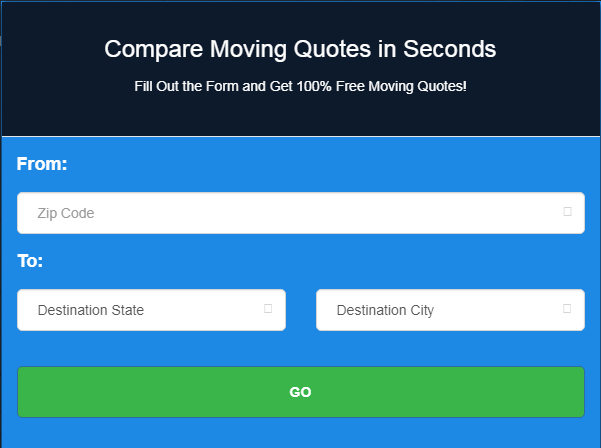 Get FREE moving quotes!